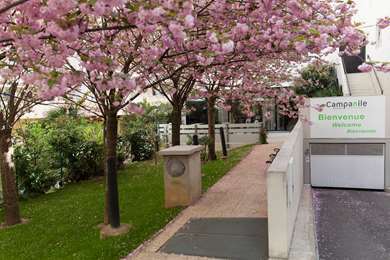 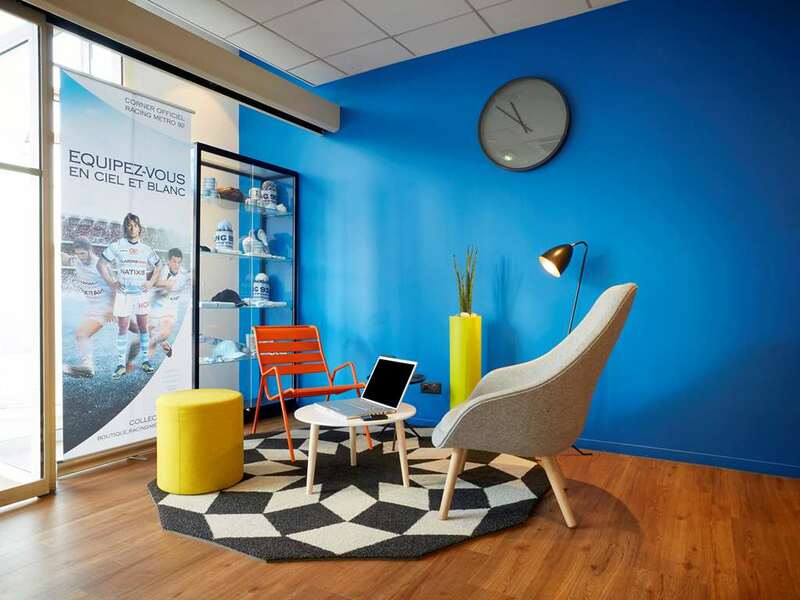 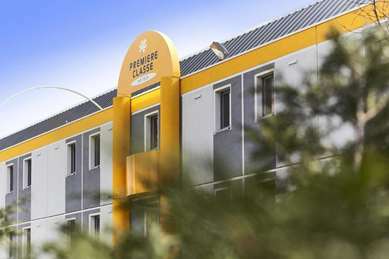 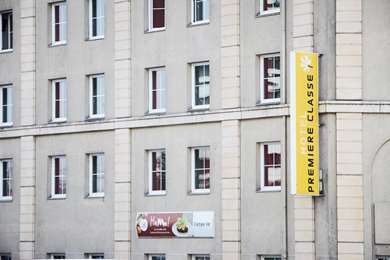 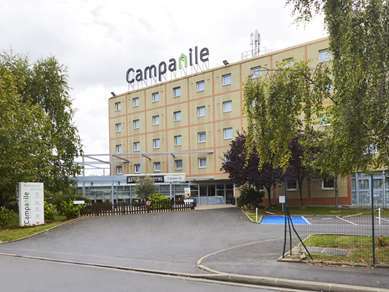 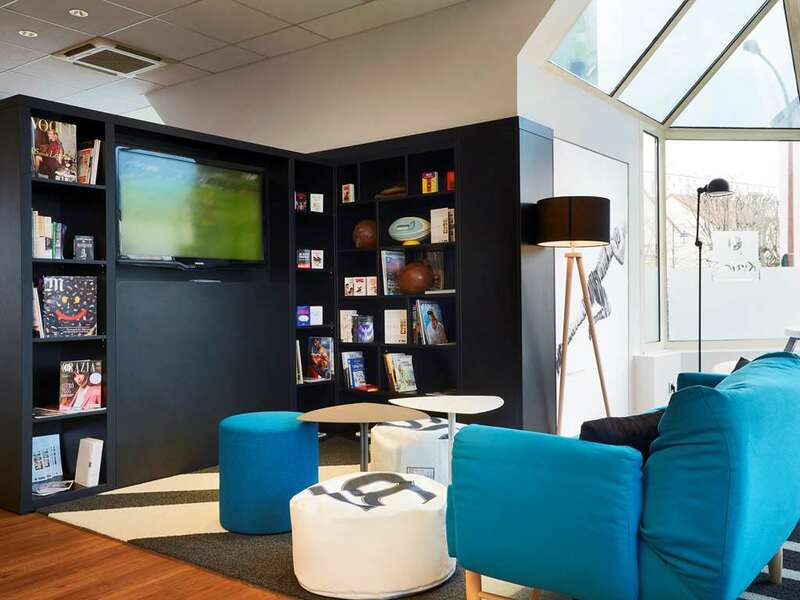 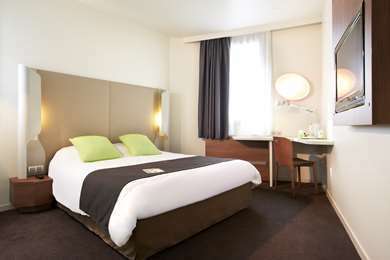 This 3-star hotel is located in the Kléber de Colombes business district, near the stadium and 400 yards from the SNCF train station. 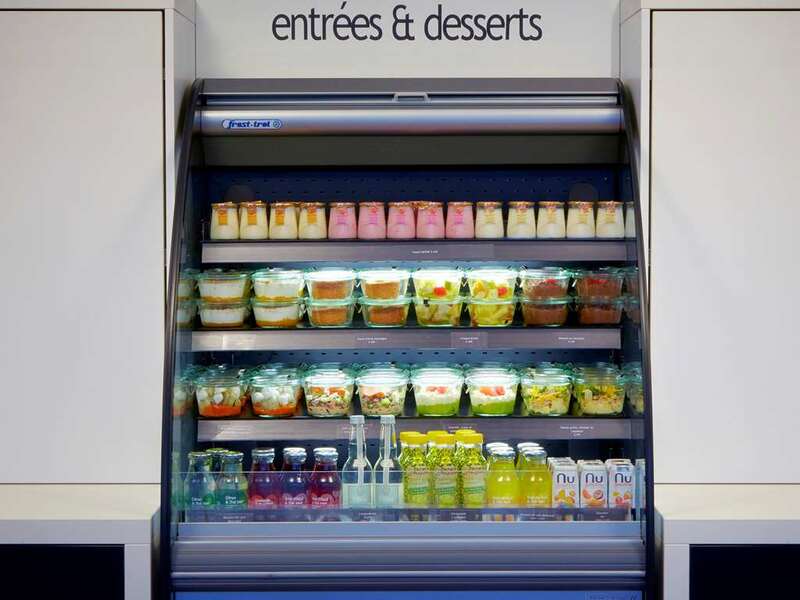 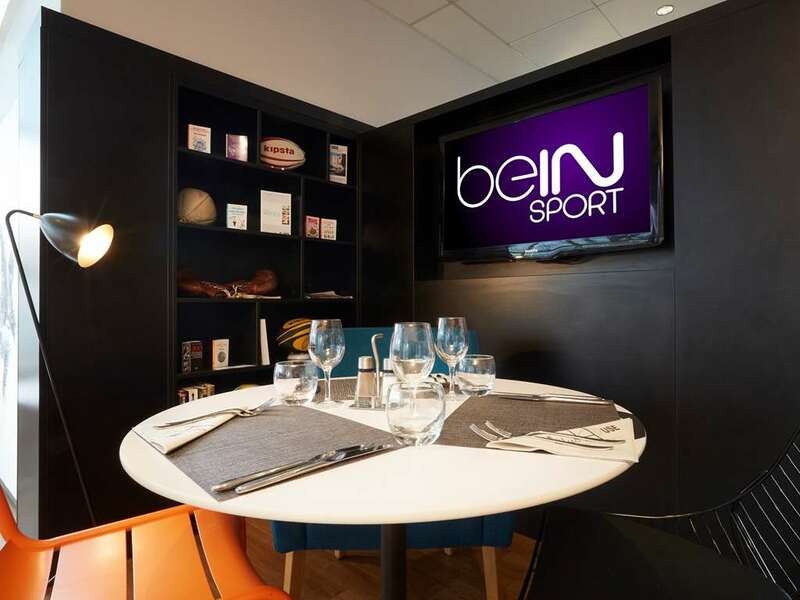 You can stop here for all your business activities in the neighborhood or in Paris (12 minutes away by train) or in La Défense (15 minutes away by car). 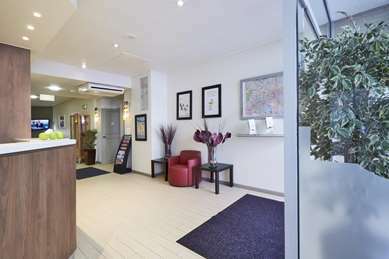 Our reception is open 24 hours a day and we offer free parking. 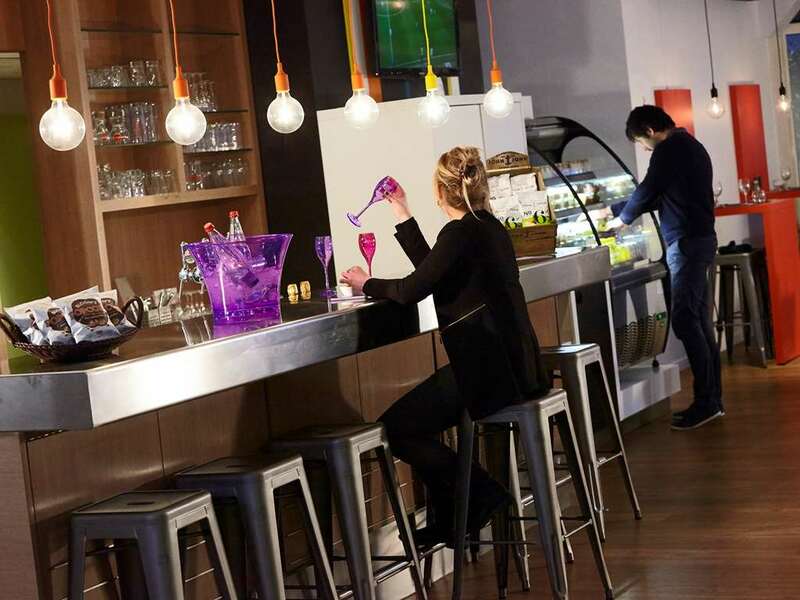 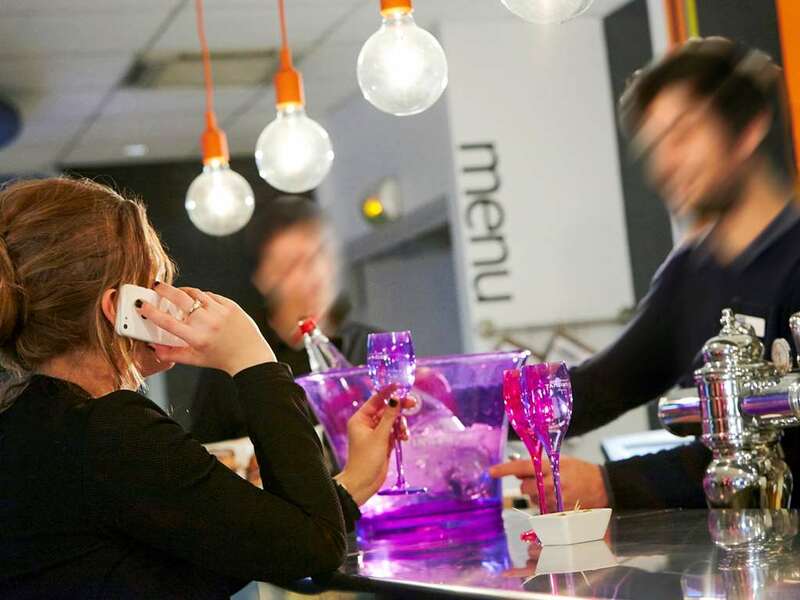 Our establishment has a bar-restaurant and offers you everything you need to work or relax. 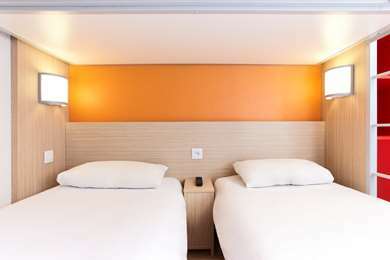 Come take advantage of the comfort of our 60 rooms that were renovated in 2010 and that can accommodate up to 3 people. 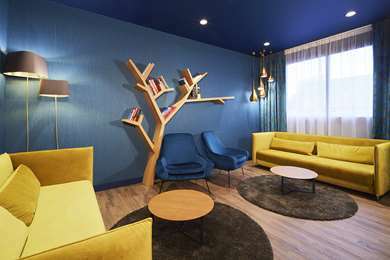 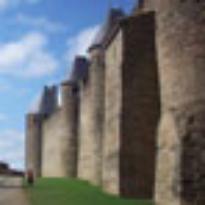 You can even do sports or attend nearby sports events (at the skating rink or the Yves Manoir Stadium for rugby games and the Racing Metro 92 event) before going out to explore Paris. 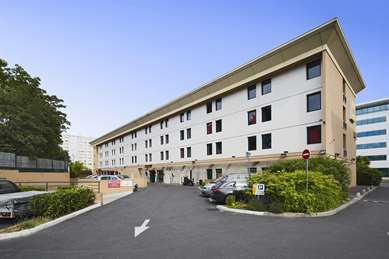 When you take Port Maillot, the Convention Center historical Parisian monuments such as the Eiffel Tower and Arc de Triomphe, are only 30 minutes away by car. 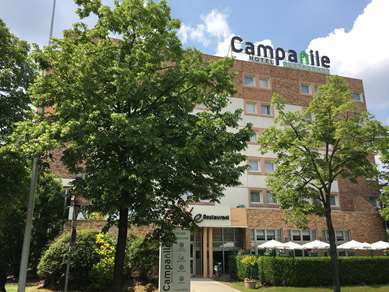 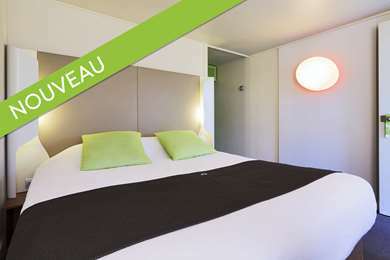 The 60 rooms of our hotel were renovated in 2010 with ecological materials. 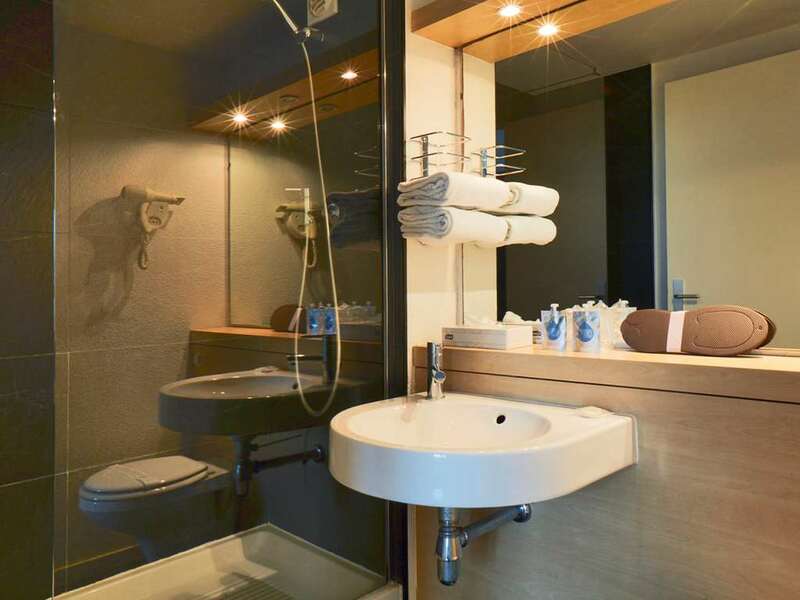 They are all equipped (with a bathtub or shower) where you'll find a hair dryer. 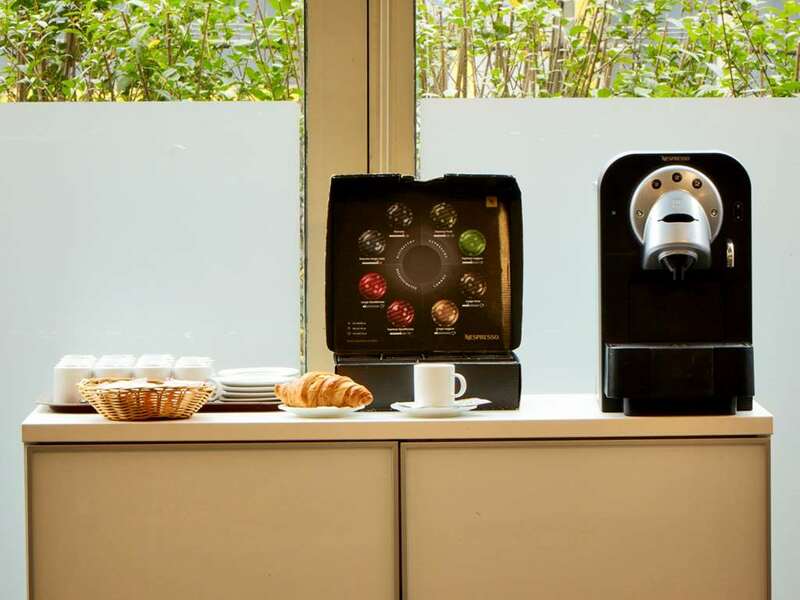 A courtesy tray with a kettle for tea or coffee and some cookies is also available in your room. 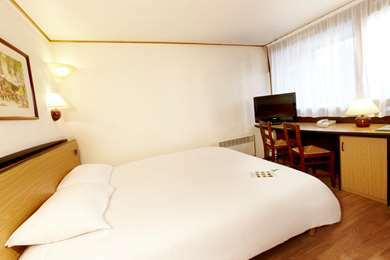 In terms of modern amenities all rooms have an LCD TV (with Canal + and CanalSat channels) and unlimited free Wi-Fi access. 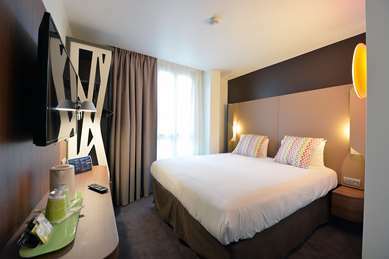 With the ability to accommodate up to 3 people the rooms in our hotel are singles, doubles or triples. 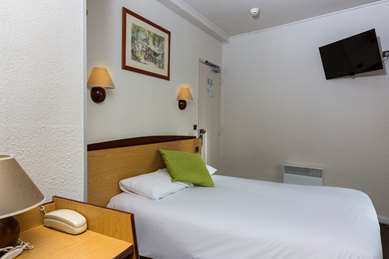 Please note that 2 rooms are specially adapted for people with reduced mobility and that one of them connects to a neighboring room. 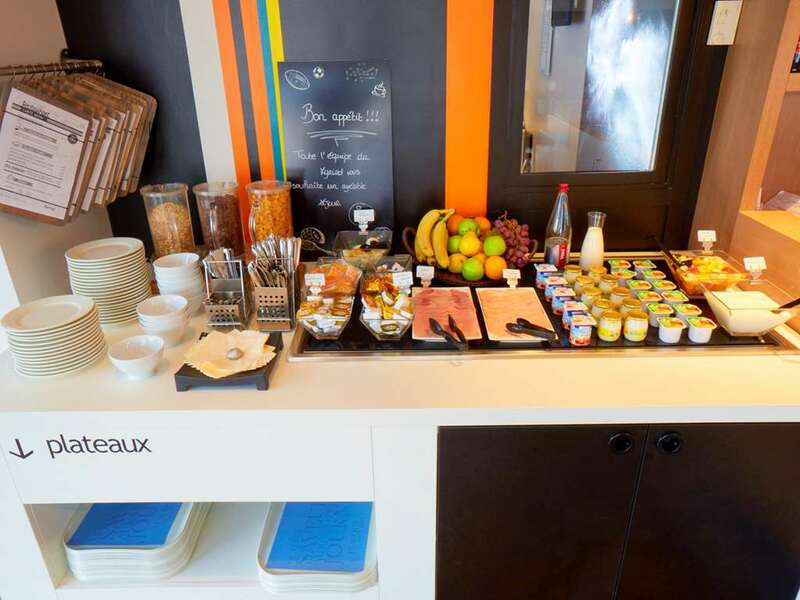 From 6:30 am to 10:30 am, the hotel offers you a very complete all-you-can-eat breakfast buffet filled with flavor and vitality. 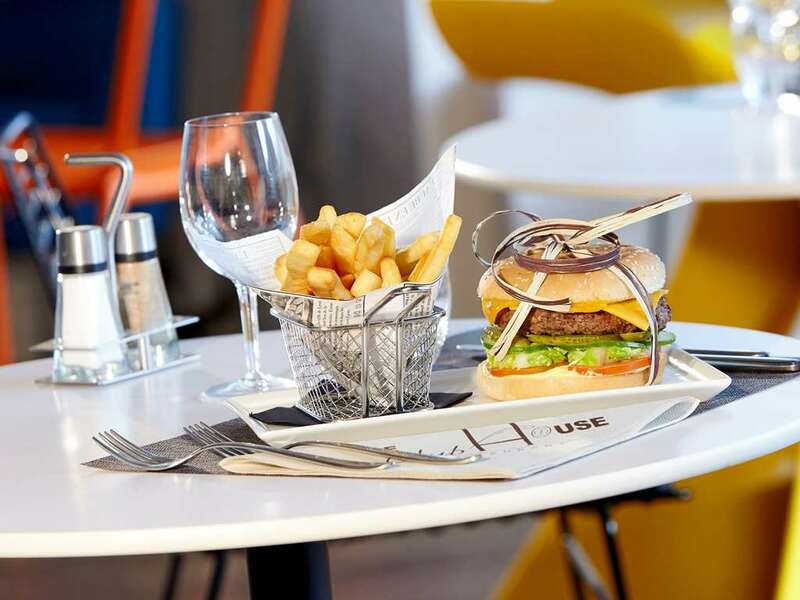 The "Le Club House" restaurant welcomes you everyday from noon to 2:00 pm and from 7:00 pm to 10:00 pm in its modern dining area that can accommodate up to 60 people. 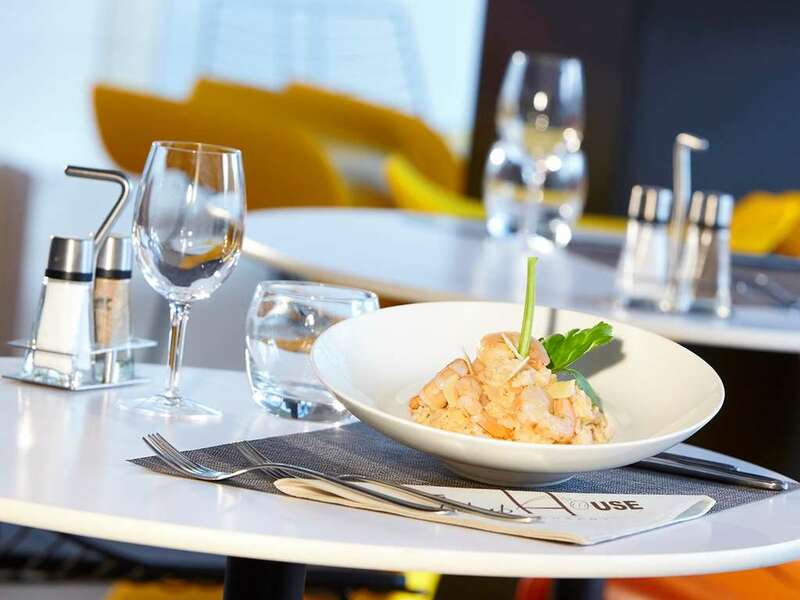 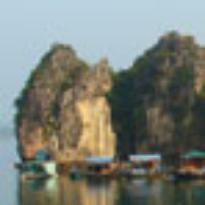 It serves a traditional cuisine with an all-you-can-eat appetizer buffet, an à la carte menu and even a children's menu. 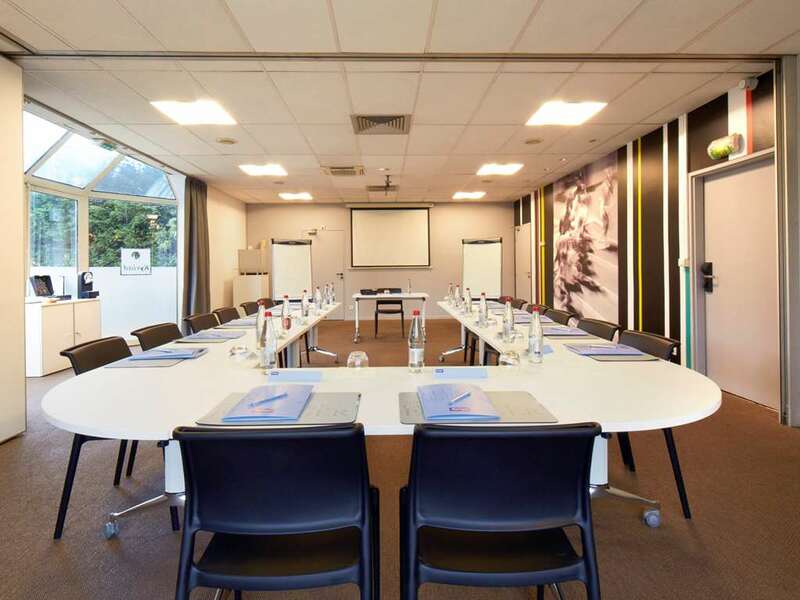 Also, the room can be reserved for a private group meal, a seminar, a wedding, anniversary or any other event. 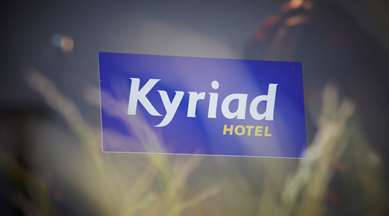 Your Seminars at Hotel Kyriad de Colombes. 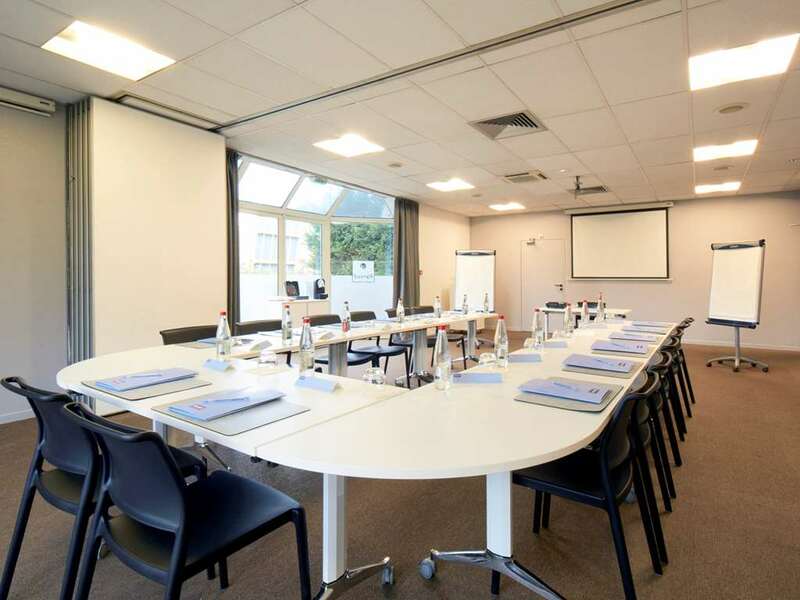 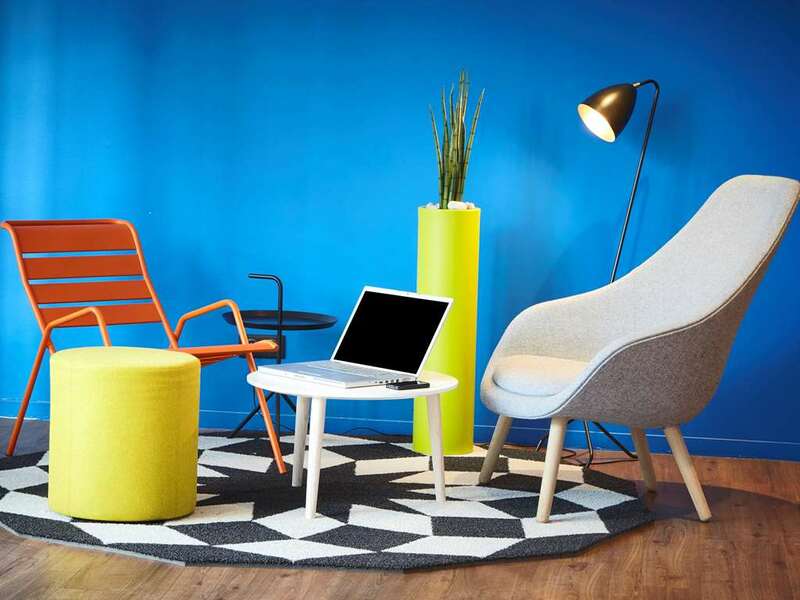 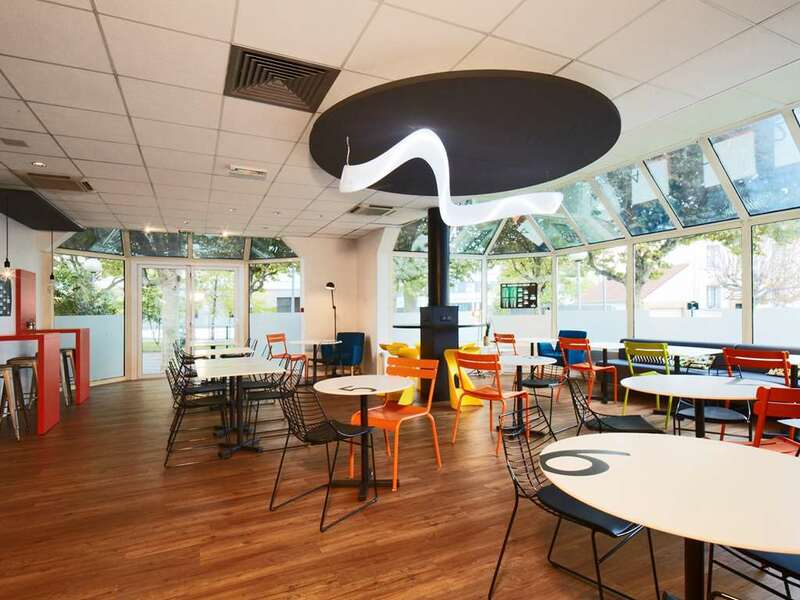 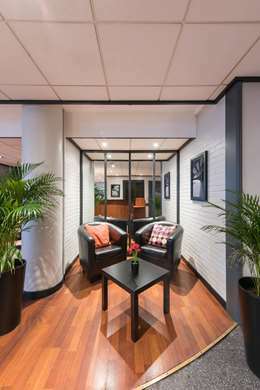 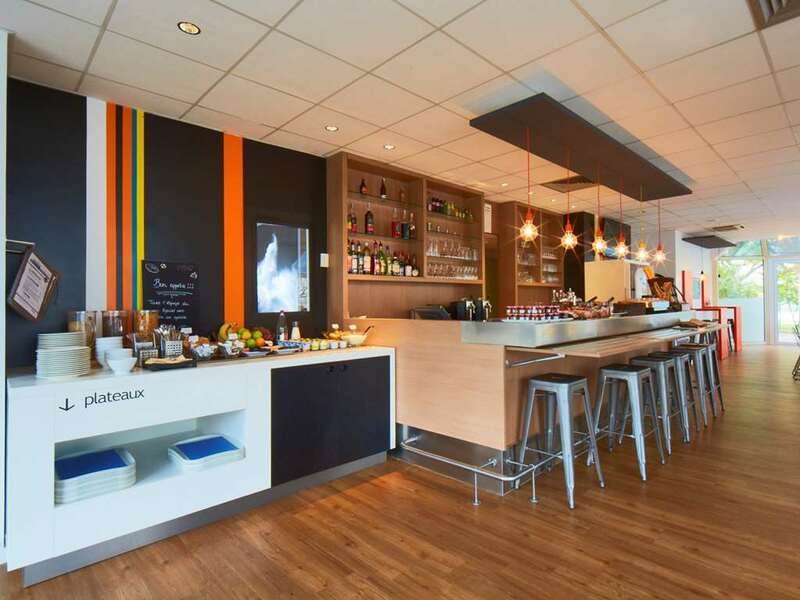 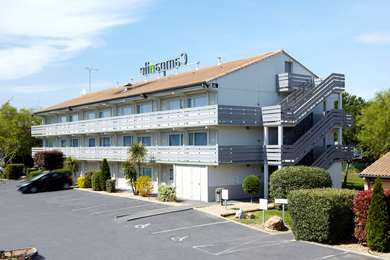 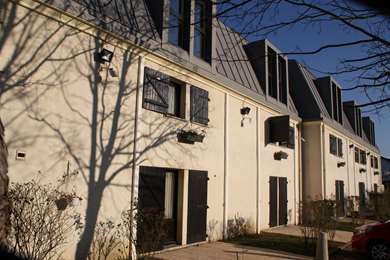 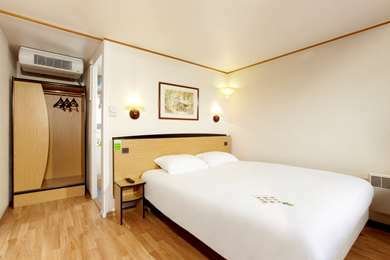 Hotel Kyriad de Colombes has 2 meeting rooms that can accommodate up to 50 people. 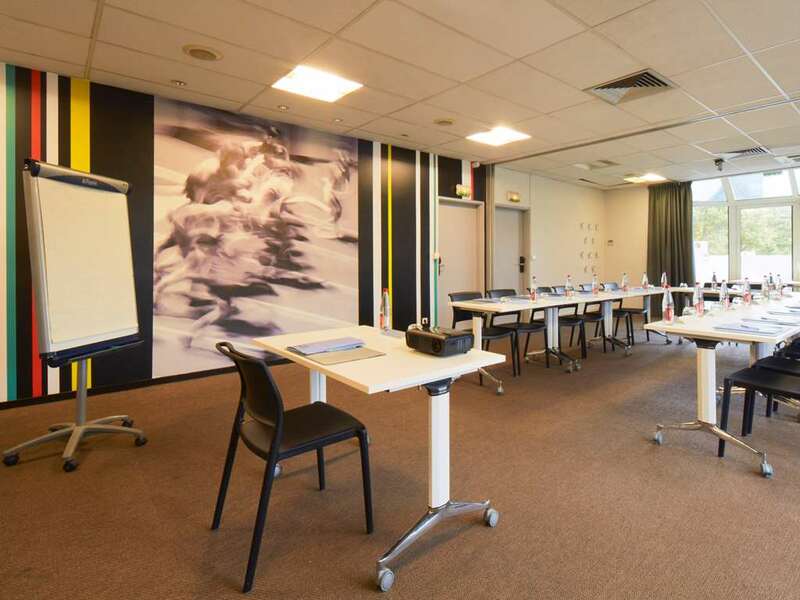 They have natural lighting and are equipped with a video projector, flipchart, and stationary. 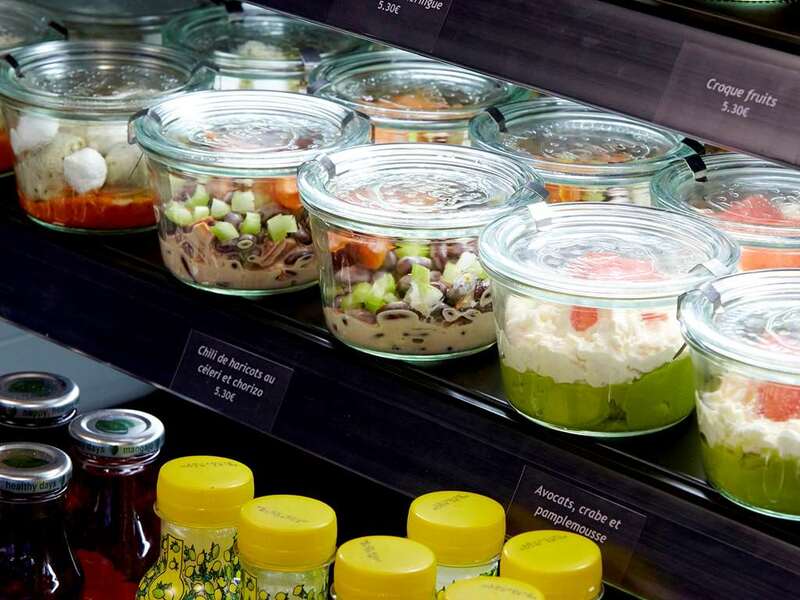 Attractive, delicious, balanced and energy filled breaks will be proposed.